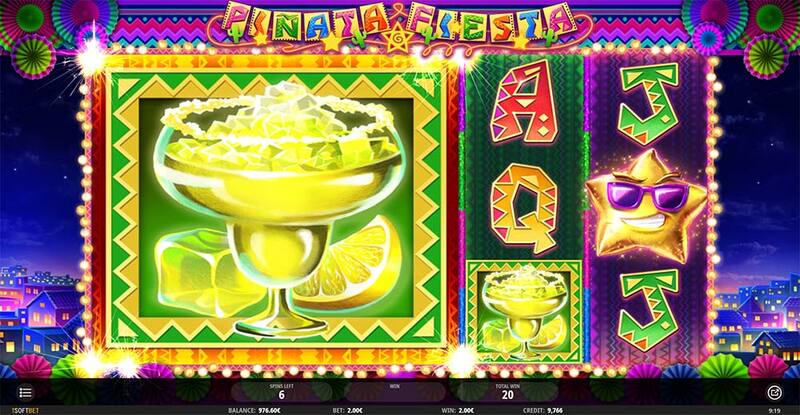 Did We Have a Smashing Time Playing iSoftBet’s Newest Slot Pinata Fiesta? 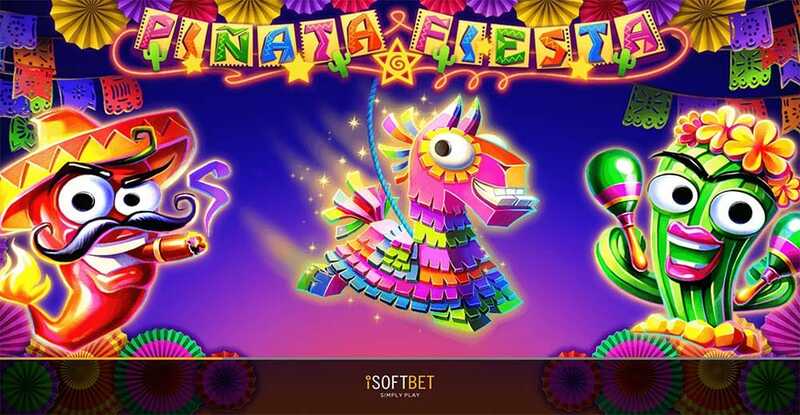 Pinata Fiesta is the newest slot to be coming out from iSoftBet and is scheduled for release in the middle of April 2019, Guts Casino, however, has an exclusive for this title allowing you to check it out early. 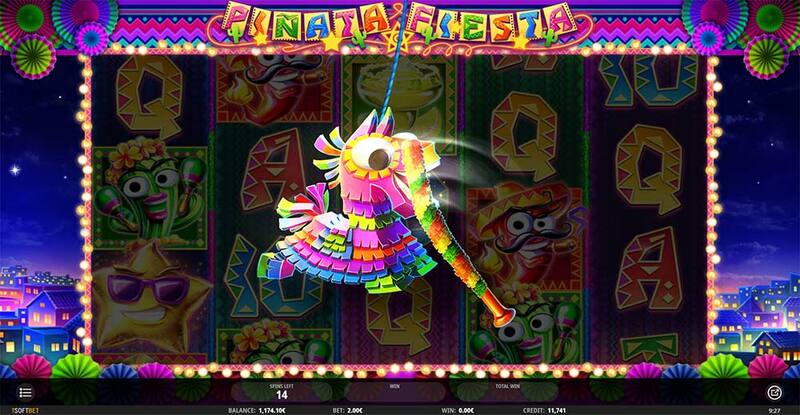 Pinata Fiesta is a bright and colourful slot release from iSoftBet with a Mexican vibe going on, swinging Pinatas flying across the screen and trumpet celebrations for the big wins, similar to the Spinata Grande (NetEnt) slot in theme but with a whole host of different features. 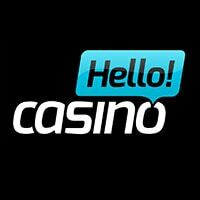 At the heart of this slot, you have a regular 5×3 reel 20 payline machine, there is a free spins bonus round triggered by the regular scatters along with a randomly activated Pinata Spin that when cracked open will reveal 1 of several different mini-features. 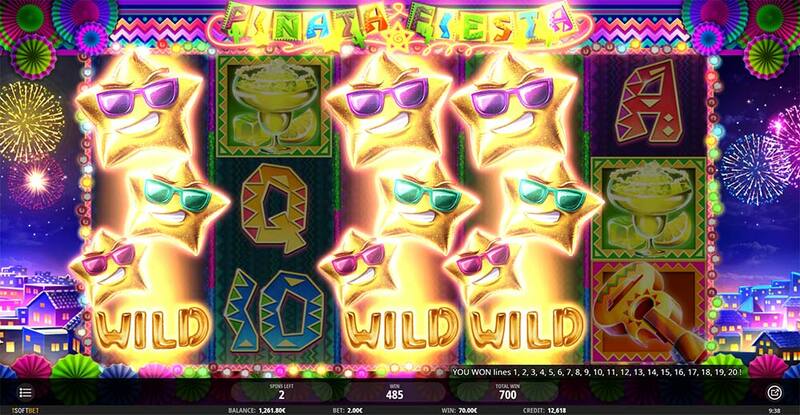 The bonus features that be won from the Pinata include Mega Sized Symbols, Wild Reels, Symbol Upgrades and Added Wilds and what’s interesting is that during the bonus round the Pinata Spin feature will activate much more frequently giving many more chances to get the better wins. 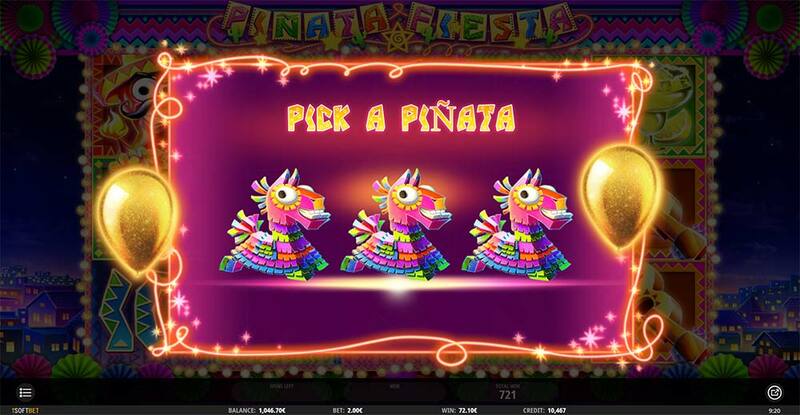 At the end of the bonus round there is a mini Pinata picking round where you have 1 chance to extend the bonus round by winning more free spins which is nice at least when you pick the right Pinata! Overall it’s a fairly simplistic slot with regular features, it feels like a low to a medium variance machine so the action is consistent and bonuses seem to trigger quite regularly. Pinata Spin– Randomly activates in the base game and bonus round, smash it open to reveal the feature. Mega Spinata – Reels 1-3 transform in mega-sized symbols covering these reels. 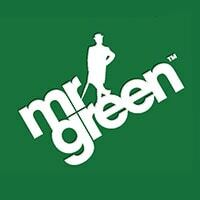 Grande Reels – Wild Reels are randomly added to the reels. Fiesta Frenzy – All low paying symbols are upgraded into a matching higher paying symbol. Popping Wilds – Ballons pop over the reels adding sticky wilds to the reels for that spin. 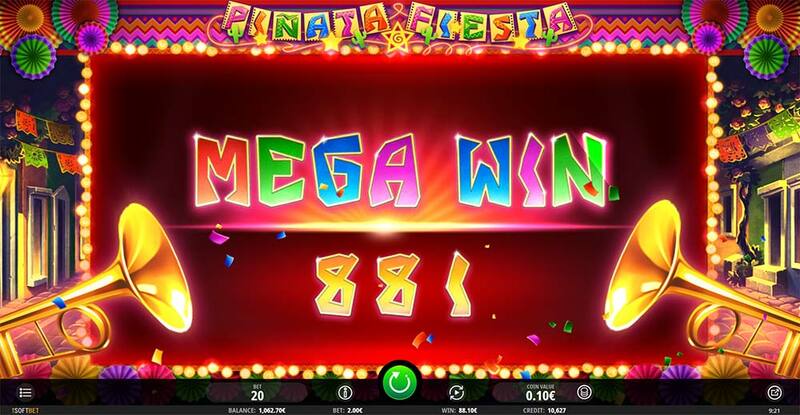 There is nothing actually too bad with Pinata Fiesta, its a very bright and colourful solid 20 payline slot packed with a variety of mini-features and a main free spins bonus round, the main issue we had was there wasn’t anything that really made this a standout slot. With the low to medium variance, the features and bonus rounds are coming fairly regularly but as a result, the wins were fairly low and we struggled to get close to 100x wins from the main bonus round in our playtests, the little Pinata picking round after the bonus is a nice touch but overall this slot just lacks that extra special feature or win potential to really make us to play it more.